Ridley Scott’s Exodus: Gods and Kings is Hollywood’s second big-budgeted Old Testament adaptation of 2014, following Darren Aronofsky’s Noah. And much like Aronofsky’s film, Scott takes a blockbuster-sized approach to his production, representing scripture in an impressive $140 million budget and a protracted two-and-a-half-hour runtime. But as with Noah, the storytelling here fails to engage on a necessary emotional level that would otherwise make its central mythology feel timeless or relevant for modern viewers. Inspired by classical epic filmmaking—notably David Lean’s Lawrence of Arabia (1962) more than Cecil B. DeMille’s The Ten Commandments (1956)—but with an air of religious skepticism under the surface, the film, interestingly, supplies viewers with material susceptible to multiple interpretations, and therefore should appeal to a wider audience beyond merely the devout. This also makes the film a conversation piece without polarizing its audience too heavily or offending the masses. 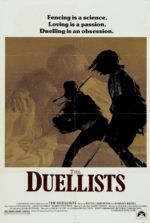 Despite all of the possibilities inherent to such qualities, the film also happens to be a mess in many other areas, and among them is a basic failure to entertain. Another obvious trouble spot is Scott’s Anglo-centric cast, which relies on heavy applications of bronzer to look their parts. While casting actors who perform with British accents may be a traditional filmmaking approach, today it seems outdated and almost unintentionally funny in certain situations. Headlining the material, Christian Bale and Joel Edgerton play Moses and Ramses respectively, and they look fine in their roles. But when actors such as Sigourney Weaver (whose presence is utterly pointless) and Aaron Paul appear onscreen and fail to mask their American accents, the result is somewhat embarrassing, especially given that these characters originated in Africa and the Middle East. 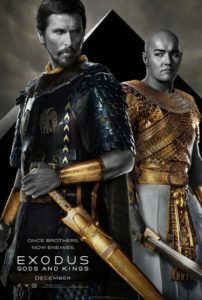 However whitewashed the production may be, one could certainly argue that there’s an intentional white exceptionalism to the material, in that white-skinned actors play the ruling Egyptians, an elitist, almost Aryan ruling class. For some 400 years, they presided over Israelite slaves, who are played by a racially ambiguous mix that is best defined as not white. At any rate, through the casting, an (intentional?) parallel is created between the Nazis and Jews in World War II, or even the master and servant of American slavery. Then again, the film’s casting trends are too inconsistent to derive any thematic meaning from them. In another curious choice, John Turturro plays Pharaoh Seti, whose looming death creates some waves of discord between his proud son Ramses and his favored stepson Moses. During a trip to the city of Pithom, Moses meets a Hebrew elder (Ben Kingsley), a wise man who tells Moses that he’s been prophesied to save his people—the Israelites, who are horribly subjugated in Pithom by their shady Egyptian viceroy (Ben Mendelsohn, a juicy villain). The film’s narrative arc follows Moses as he’s eventually banished from Egypt for his origins and, after traveling through the desert, finds Midian, where he marries Zipporah (Maria Valverde) and becomes a shepherd. Regardless of how he denies his roots, Moses gradually becomes a hero to his people when he speaks to God, who’s represented as a young boy (Isaac Andrews) and whose physical form may hint at God’s impetuous, hotheaded retaliation for the enslavement of his “chosen people”. 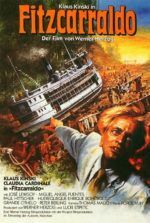 Moses tries to negotiate with his estranged stepbrother, now a temperamental god-king, but Ramses refuses any concessions, inciting God’s wrath in a series of curses, followed by a chase in which Moses leads the freed slaves across a parted Red Sea. A surprising degree of religious skepticism exists in the screenplay and overall treatment, to which four writers (Jeffrey Caine, Bill Collage, Adam Cooper, and Steven Zaillian) are credited. Scott’s professed agnostic stance gives way to two polarized interpretations: 1) Everything that happens in the story occurs as a result of Godly force; or 2) Moses, who hits his head prior to his first encounter with God, hallucinates his divine encounters. While option 1 needs only faith to justify it, option 2 has several explanations rooted in Nature. Consider the curses, which begin after a crocodile feeding frenzy fills the Nile with blood; the blood causes frogs to leave the river, and the frogs head for land where they starve and die; the dead frogs become hosts to flies, and the flies bring a plague of boils. (When an Egyptian scientist, absurdly played by Ewan Bremner, argues the natural explanations for these events, he’s hung by Ramses.) Finally, prior to the Red Sea parting, in the distance we see a meteorite falling to Earth, suggesting the retreat of water and subsequent waves were impelled by a meteorite-provoked tsunami. In fact, the only curses that are not explained by Nature are the hail storms and the first-born Egyptian males dying out. An argument could be made that Exodus never grabs us because the script remains unsettled on the impetus of these curses, and other such miracles depicted. Or perhaps Scott’s religious disbelief disengages him from the material, enough to render it inert. Certainly, this is not the case with Scott’s masterful, underrated, religious-themed epic Kingdom of Heaven. Indeed, as with any Ridley Scott production, the technical credits here are visually impressive. Shooting in Spain, cinematographer Dariusz Wolski, who lensed Scott’s last two pictures Prometheus and The Counselor, fills the frame with sun-tinged saturations. Wolski’s oranges and yellows are offset by Janty Yates’ bright, attractive costumes for Egyptians and the various rags for Israelites. Scott’s visual sense often overwhelms his material, but in Exodus the visuals never grandstand enough to make up for the lackluster storytelling. Editor Billy Rich pieces together the story into droning segments, especially in the beginning and middle, while the showmanship of the film’s last hour remains too little too late. There’s nothing so offensively dumb in Exodus: Gods and Kings as rock-angels coming down from Heaven to fight alongside Moses (see Noah), but there are also large sections of the story missing—such as the Israelites’ descent into golden calf worship after their flight. Perhaps this will show up on one of Scott’s famous Director’s Cut discs. And while aspects of the narrative feel built up in this interpretation (such as Moses’ internal debate about his beliefs, in which it rivals Christ’s existential dilemma in The Last Temptation of Christ), other, more basic aspects are underdeveloped. 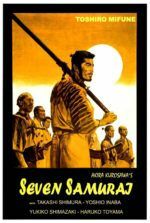 The most essential element lacking from the production, beyond even its historically inaccurate cast, remains the film’s inability to find a new or novel relevance for an audience who has heard this story countless times before. Competing with long-entrenched visual iconography from yearly Easter airings of DeMille’s film on television, Scott’s film had to confront its audience and make this story accessible to increasingly skeptical viewers. In that respect, and indeed several others, Exodus: Gods and Kings completely fails, even though it manages to look admirable and retain undeniable moments of intelligence.